Ready to give now? Click here! A patient hand on the shoulder. A thoughtful hug to a struggling friend. A welcoming gesture. 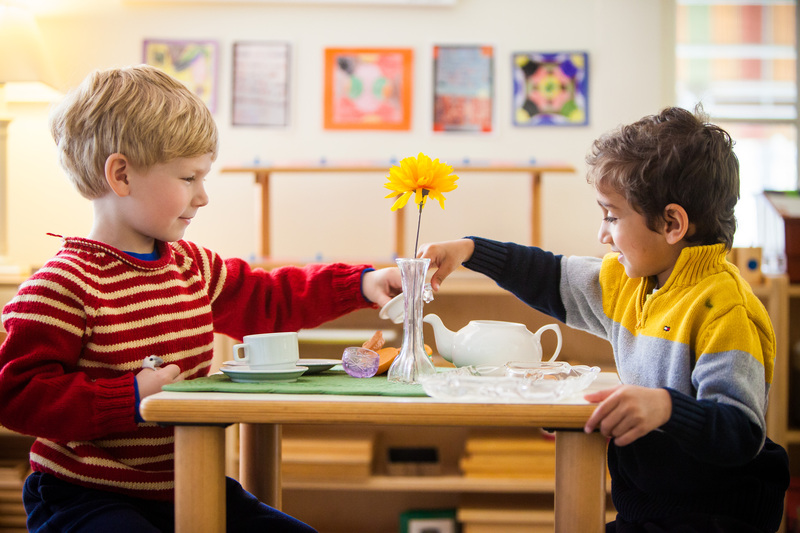 Walk through the halls of Summit Montessori School and you will observe time and again children of all ages practicing and internalizing the very intentional lessons they learn from teachers and observations in Grace and Courtesy. As Summit’s mission states, we are “dedicated to developing respectful…active participants in the global community.” Grace and Courtesy lessons not only set up a classroom for success, they teach our students how to navigate life. In this holiday season, we hope you will help us as we create experiences and spaces for our students to master gracious and courteous habits of mind and body. Follow us on social media all week long as we explore the ways Summit Montessori promotes Grace and Courtesy and set your calendars for November 27th, Giving Tuesday – a global day of giving, a kick off to the charitable season, and an opportunity for you to support this kind of learning in your child’s life. Elise Huneke-Stone, Director of Elementary Training, Montessori Northwest, reminds us: "What is grace and courtesy...? ... It is any way we can empower children to believe and act in accordance with these three truths: We belong, here. There's work to do, together. Thank you." We belong, here: We help our children feel a sense of deep belonging to this vibrant community and teach them the ways to support one another in that belonging. There’s work to do, together: We encourage them to embrace their empathy and love to honor and promote the great work happening all around them; nature’s work, their minds’ work, and the classroom’s collaborative and cooperative work. Thank you: We inspire them to be grateful to themselves and each other and for the world around them. From the drop of water that feeds the plant to the selflessly shared hug, we remain grateful to one another. Your support promotes all of this and so much more every day and for every student. Won’t you help us? After all, we all belong, here at Summit, and there’s great work to do, together with your support. Thank you. Follow the story all week long on Facebook and support Summit on November 27th, 2018. #GivingTuesday. #Grace&Courtesy.